Combining their years of experience and knowledge of the publishing industry, Glenn and Elizabeth talk through what it takes to publish and market a successful book today, from the idea and brainstorming, all the way to the positioning and strategic relationship-building that has become the cornerstone of publishing success. Listen in for insight as to which marketing channels are currently converting best for book promotion, the importance of alignment and synchronicity between the various pieces of your work, and the key to consistently reaching a wider audience and sell beyond your current market. Elizabeth Marshall is an award-winning author and consultant that partners with established thought leaders to step up to a new level of success and impact. Marshall’s work empowers thought leaders and authors at all stages to connect their message to the right audience. Her background in marketing and sales led her to working with entrepreneurs, and ultimately, with authors and speakers. She has worked with well-known influential thought leaders such as Michael Port, Seth Godin, Howard Behar, and more. Glenn Yeffeth: Welcome to the Building Books podcast. I'm Glenn Yeffeth, publisher of Ben Bella Books, and on this podcast we will talk about ideas, authors, and how publishing really works. 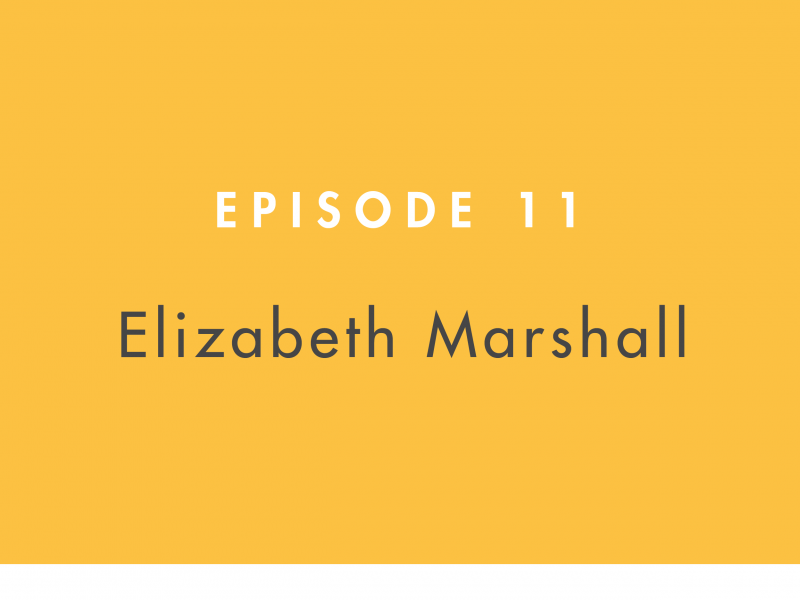 Hello, I'm very excited today to have Elizabeth Marshall with me on the podcast. Elizabeth helps thought leaders and authors develop and refine their message, build and expand their platform, and develop strategies to create lasting impact. She's also the co-founder of Book Breakthroughs, which delivers a series of workshops on publishing. Now I believe there's a lot of them online as well. She's also the co-author with Michael Port of The Contrarian Effect, which was named one of the best business books of 2009 by the Amazon Editorial board. She's worked luminary such as Seth Godin, Keith Ferrazzi, Carol Roth, our own Carol Roth, and former Starbucks president Howard Behar. Welcome Elizabeth, so nice to have you here. Elizabeth Marshall: It's great to be here, thanks so much. Glenn Yeffeth: Before we get into all the details, how did you get into this business? Elizabeth Marshall: So my very first book launch was in 2006 with Michael Port for his first book, Book Yourself Solid, which was published by Wiley. And that was such an incredible experience. It was, as I mentioned, my first time to launch a book and yet, I was able to bring forward my former marketing and sales experience and apply it to a book setting. And cutting my teeth on that launch, I realized that so much of what I had been doing in helping entrepreneurs become known for their message folded in quite nicely with the book space. But really Glenn, it goes all the way back to my childhood and when I told my mom I wanted to get paid to read books. And so, here we are. Glenn Yeffeth: Didn't we all start that way? Glenn Yeffeth: That's great. Now, what did you do before you got into the book space? Elizabeth Marshall: Marketer, both formally and informally. So, while I had formal experience in both sales as well as a year in management consulting as you know, you have that background as well. Elizabeth Marshall: But yes, that brought me to ... I'll cut out some of the extraneous details, but that ultimately led me to working with entrepreneurs, in partnership with Michael to help them get clients and then ultimately, more specifically to authors and speakers. Glenn Yeffeth: So, so many authors that we see or that we considered for publication, you know, they have so much ambition, so many things they're dying to do in terms of having a successful book. But so few of them really succeed. What do you look for in a client that says, "Okay. This person has a potential to make it." Elizabeth Marshall: Well, I think Glenn, as I imagine, Ben Bella looks in this lens as well, it's ultimately about the idea. Elizabeth Marshall: You know, there's so many ideas that might make for a great podcast or for part of an interview, maybe even a video series, but don't have the integrity and the maturity to be a fully published book. And so, in many cases, clients that come to me, I'm often saying, "Oh, you have ... There's something here and you need to go off and test it. Either in the form of a key notes speech, you need to you know, develop this idea as a workshop or test it in different ways with your audience before you come up with the right concept that's actually going to be published in a book form that audiences want to buy." Glenn Yeffeth: So, you know, I noticed you said that for a lot of authors ... They're not ready to do a book. Is that what you mean? That they need to go out and test their ideas? Elizabeth Marshall: Yes. Either they've picked a book idea that is out of alignment with the other areas of their thought leader platforms. So you know, if you're thinking about a book on knitting and you have a leadership consulting business, that's an obnoxious example, but that disparity between the book and what you're doing with the rest of your business or the rest of your work, it happens so often. So I help clients look at, okay what's the right idea for right now? Maybe you'll end up writing three or four books, but what is that great book idea that is relevant for your audience and you know, some of the questions we talk about in publishing. Why now? You know, why is this more relevant than ever before? Why you? What are you going to add to the conversation? And why this particular book? Out of all your areas of expertise. Why is this concept or this big idea important to write about? Glenn Yeffeth: Talk to me about the services you offer. So it sounds like part of it is helping authors or potential thought leaders refine their message. Elizabeth Marshall: Yes. And not just the message for the book, because like Ryan Holiday has expressed in his recent perennial seller, the best marketing plan starts when you create the book and the book idea. And so, if you're writing that book, not only in isolation from your audience but in isolation from the bigger picture of what you're trying to create, then marking is going to be an afterthought that's bolted on afterwards instead of being baked right in from the very beginning. So, when clients come to me ... You know, we're obviously working on a lot of book specific things. Such as the messaging and positioning of how to talk about the concept, certainly how to market and launch everything that goes into that. But it's also how does the book fit in with your other nine elements of your thought leader platforms? So, are there things that you need to do before writing the book? Such as testing the idea through a content series or through speaking, or maybe there's aspects through your website or business that need to be repositioned differently so that all of the things fit together. You know, there's this euphemism that a book is a big business card, especially non-fiction books. I tend dislike that analogy. I did test it actually, because it's such an insult to an author who's worked so hard. I mean like, terrible. At the same time, you do want to have some alignment and synchronicity between the various pieces of your work. So as the idea I joked about a few moments ago, you're not writing about knitting when you're really committed to leadership or you know, putting out a cookbook when you're really about communication in the corporate space or working with parents. You know, you want to look at how the book is going to, not just be an asset for readers and be a resource as a standalone, but how does it serve to further the other aspects of the work that you're doing and vice versa. Glenn Yeffeth: That makes so much sense. At least, especially in the business space, you know, the book is one component. Glenn Yeffeth: It's one revenue stream that ties into often, bigger revenue streams and you know, saying the book is a business card, you're right, that's too dismissive. But in a way, for a lot of businesses, the book is an entrée into the funnel of selling more expensive products that is all a part of one common eco system that has to work together. Elizabeth Marshall: That's right. That's right. Elizabeth Marshall: So interesting. Yes. I remember. Glenn Yeffeth: And that book became a phenomenon and that book took us from thirty million to three hundred million, pretty much single handedly. And I would walk into the CEO's office and he would say, "Are you with the guys that wrote the book?" That's a nice start to a business meeting. Elizabeth Marshall: Absolutely. And Glenn, you actually touched on something interesting. I think in today's market, it used to be fifteen, twenty years ago, that if you said that you'd written a book, it'd be like, "Whoa. You know, that's really interesting." A novel. And because of the shifting models in publishing, you can literally go this afternoon and publish something on Amazon that ... You know, the guys at Brash Check did a funny article and did an experiment about writing this book called "My Left Foot" and it was really, literally taking a picture of his foot, uploading it to Amazon to show how quickly you can get a book out there. And so, all that's to say is that, when you're thinking about publishing or honestly, even between book one and book two, to realize that the market is saturated in just saying, "I'm going to publish." And hoping that the book is going to sell itself, doesn't happen these days and you have to be your own best advocate for the message all throughout the process. And obviously when you're able to work with great partners like Ben Bella, you have amazing collaborators to help advocate for you, but at the end of the day, no matter who you publish with or how you publish, you are the CEO of your book and business. Glenn Yeffeth: That's so smart. I'm really glad you said that. I mean, so many authors think ... We talked about that integration with the business. So okay, I'm in sales consulting, I'm going to write a book on sales. You would never launch a new business because launching a book is launching a mini business. Glenn Yeffeth: Without saying, who am I competing with? And where do I fit into that competitive dynamic? People often don't do that with their books, but as a publisher, you have to do that. You have to say, "How is this book gonna be perceived relative to all the other sales books that are out there?" Elizabeth Marshall: Exactly. Or if you're trying to write the next radical candor, well what are you saying differently than has been mentioned in crucial conversations, fierce conversations, radical candor, what are you adding or changing? Glenn Yeffeth: Now, do you find that ... And I see even some business book publishers saying this. Well, for business books, you're pretty much limited to the existing platform of an author. It's almost, you're selling into your own market. Which seems so defeat as I hate that idea. But for some books, that seems to happen. I won't try to answer this for you ... What has been your experience? Elizabeth Marshall: So I will say that, yes I think it's always good for an author to be realistic that you know, "This book is for anyone." Well ... a book on B2B sales is not for the stay at home mom next door. So, when you think about your audience, it is good to be realistic in terms of who you're selling to as far as your own existing community. Your subscribers, your social media followers ... But then you can be very intentional and say, "Okay, what are the strategic relationships that I'm trying to build?" I define strategic relationships as those with key individuals and groups that serve the same or similar audience. So these are your podcasters, your bloggers, fellow authors and speakers. Not to mention industry groups and associations and conferences that are very hungry for relevant ideas and content and are happy to feature authors and thought leaders as part of their ongoing activities, rather it be a print magazine, a webinar series they have going, you know, above and beyond their conference. And I've found, Glenn, that the authors that invest in these strategic relationships, that's what helps them become ... In the words of Ryan Holiday, "The perennial seller." Glenn Yeffeth: So it's not just, maybe how many people are in your email list or maybe how many people are following you on Twitter, but it's also the strategic relationships that you form as a thought leader. Elizabeth Marshall: Absolutely. Because you might ... Here's a great example. One of my clients has been able to build a relationship with an organization called Project Management Institute. PMI has almost a million members worldwide. And so, you know, when you're able to become a house hold name inside an organization like that, it may not mean you have a million new email subscribers, but you have access to a much larger community than you might have on your own. So, look for those PMI equivalence in your industry and there across all industries. You know, let's talk about cookbooks for a minute. So knowing that Ben Bella has that imprint ... Especially in the food space. Oh my goodness, we have all these niche and targeted communities and you see Paleo and Crossfit and all of these groups working together. And so, when you can build relationships in service of others, service being the operative word, then you have an opportunity to meet a much wider audience than you could beyond just your own newsletter list. Glenn Yeffeth: No, I think that's very smart. And for other outside of the business realm, every other category does that very well. But I think in the business realm, sometimes people forget that. Elizabeth Marshall: It is. And it's amazing. I just had a client launch about a month ago with a parenting book and it was fascinating to be reminded of the contrast between how communities congregate in the parenting category versus the business category, the customer experience category of an author that just launched two months prior. And it is, every industry and category has it's own eco system and it's ways of being in relationship but it's a matter of finding about how it works for your community and finding ways to build those relationships. Glenn Yeffeth: And I think it's important for the ... It's part of the value add of the publisher, or whoever the partner of the person is working with, to help them create a book that's going to fit into their business, sell well into their existing market, but then grow their markets. You know, we did a book with a great author, Stu Heinecke, called ... And we decided to call it, "How to get a Meeting with Anyone." So it's in that sales space, but it's a very unique kind of idea. He's just a genius at coming up with ways of meeting people that are kind of outside your pay grade, that you wouldn't normally get to meet with. He actually met his wife that way. Elizabeth Marshall: I love that. That's great. That's a great example. Elizabeth Marshall: How to get a meeting with anyone ... Well say you're writing a grant. How do you pitch people for funding for your non-profit or community action, or various causes? We have to be able to sell people on our ideas. It's kind of, you know, not unlike the premise for Dan [inaudible 00:14:41] to sell us human that so many of those ideas that we start without original audience can be transferred to additional audiences. Glenn Yeffeth: Right. But the other thing is, that book is not for everyone. And I think trying to make a book for everyone, makes it for no one. Elizabeth Marshall: Agreed. I like to say, "Anyone is not an audience." Anyone into google to search, you come back with millions of hits and nothing very useful. Glenn Yeffeth: So what are you finding are the most effective ways to market a book? Elizabeth Marshall: So that's the two million dollar question, right? You know, if I had a dollar for every change that's come down the pike ... I would say one of the most important things is to have ... Just like our financial strategy, to have a diversified strategy and not put all of your eggs into one basket. So if you think about the different categories of a launch strategy. So you're going to have a strategy for sharing content and selling the book to your existing community or newsletter list. Then you're going to have a strategy for sharing and promoting the book on social media. Some of those followers on social will be your subscribers and others may or may not choose to engage. And then there's the strategy to think about, "Okay. All of these strategic partners that I'm building relationships with, what am I asking for? How can they promote?" So things like, getting booked as a guest on podcast. I will tell you that podcasts are converting ... Continue to be such a powerful converter for books. Glenn Yeffeth: We've seen that too. Elizabeth Marshall: It's like Netflix, you find this new show, you watch an episode and then you binge all these back episodes. And so, even if you've ... If your book launched last year, you still have a great chance to have that episode to be heard by the constant stream of incoming new subscribers to that particular podcast. So podcast interview's really important. You know, social media promotion, it's one of those things that's essential and yet, it's more about that brand awareness over time. It's rare that one post would result in this massive influx of sales. And yet, if a potential reader has heard about you seven different times in the past two weeks, well that's seventh instance that happens to be a Facebook post, well then they might buy the book, but it's that cumulation of all of that exposure that they've had to you. So podcast interviews ... You know, email marketing is interesting. It's not converting as well in some instances as it used to. It kind of depends on your audience and community but I'll just at least speak in the business space. It's a little bit more tired and there's a little less tolerance for it. But as you look at the different channels and mediums through which audiences engage with you, you want to have promotion across all of those mediums and not rely on just one of them. And in addition, as I mentioned, you know, going to those industry associations and groups, you know, they can feature you through their channels as well. Glenn Yeffeth: Yeah, I really like that. And i like the idea of ... You know, we try to do this. You know, have a dozen irons in the fire. Glenn Yeffeth: And like we say in Texas, if it runs, chase it. Glenn Yeffeth: You know, stuff that's working, we want to do more of it. Elizabeth Marshall: Exactly. And sometimes you know, here's another thing that I like to say, you know, by the time you get to your actual pub date or launch week, you should be on version Z of your strategy. Because, if you are working version A, that means that you're not paying attention to the opportunities that are coming down the pike. Elizabeth Marshall: Or, as your testing certain things and it's not working, then you need to be adjusting. So, today's strategies ... I mean, sure. The building blocks are going to be the same, but you want to be making adjustments and tweaks in real time. Both to strategies that are popping that you didn't expect and also to those tried and true strategies that for one reason or another, are not working so well for your particular audience and business model. So you want to pay close attention to how things are working and being willing and able to adjust accordingly. Glenn Yeffeth: And sometimes, its execution, isn't it? Glenn Yeffeth: For that right group. Elizabeth Marshall: In our Instagram world. Glenn Yeffeth: Yeah. No question. I don't know how much you wrestled this with your authors, but one of the things that, especially in the business phase, even more than in most phases, there are some authors that seem to feel ... I've got this great thing, we just need to get it out. And the realization that the quality of the book itself is so fundamental is often missing. It's something that we have to sort of convince people that it's important. Elizabeth Marshall: Oh, I feel like I'm the bad cop. I'm constantly slowing people down. And yes, I think, especially in the business world, we come to authorship and book writing with this very, like, cerebral linear mindset and that doesn't work very well. Sure. You can start with an initial outline and say, "Okay. In ninety days, I'm going to have a really good first or second draft." But the reality is, is that messages have a life of their own and you have to work with the material. Or say for example, you have this concept and you've just gone out and delivered a key note that ties in with some of the themes of the books and you're listening and you get some really interesting questions from the audience that just pokes holes into your section three. Are you going to ignore it? Or are you going to go back and do the right thing and make it better? I don't know about our listeners, but what was beat into my brain growing up, is that you do the right thing. And you go back and you make the idea better, even when it's not fun. When it takes longer than you anticipate, because once the book is published, sure you can do a second addition, but you can't relaunch it. You want to write that book that is relevant, has that why now, but is evergreen and is the best possible version of the idea. Glenn Yeffeth: Yeah, totally agree. And so often, I think it’s hard for authors to get the respective of a publisher. Someone who brings out hundreds and hundreds of books, I've come to realize that a great book does ten times what a good book does and a good book does ten times what an okay book does. It is orders of banditude. Spending, you know, twice as much time on the book will yield a huge return. And so I see that all the time and I think it's hard for authors to get their heads around that. Elizabeth Marshall: That's right because I think in the publishing space, I think we don't talk enough about the emotional side of the journey. Both in the creation as well as the launch. We don't talk about some of those expectations and assumptions. For example, if I'm not a best seller, everything is over. Which with the launch of your book, it's actually the starting point, not the finish line and certainly on the writing and creation side of things, there's a lot of amazing voices and expertise to follow. So as you're diving into your project, that's just it. Find a way to surround yourself with a community of other authors and writers and those who have gone before you. As well as consult those voices in the editorial space who will tell you how it really is, instead of what you want to hear. Glenn Yeffeth: And I like what you say about, you know, the pressure. It's not all about having a big best seller. We've had books that have started out with selling three thousand copies the first year and growing and growing, and our biggest example that has sold over two million copies, starting out with a few thousand, because the book was great. Glenn Yeffeth: And because, you know, books in the end ... I think we've been doing a disservice to authors by saying it's all about platform. You've gotta have platform. Because, platform is important. But platform doesn't multiply the impact of the book. It's when the people in that platform recommended to their friends. That's when the book can explode. Elizabeth Marshall: Right. The platform cannot fix a bad idea. Glenn Yeffeth: Yes, that's right. Elizabeth Marshall: And you can only market ... Right. You may only have so much relational equity to have friends and second and third degree network to promote a book because they like you, but not because the idea is great. Glenn Yeffeth: Every publishers experience having a book they thought was great, that just didn't sell that well for whatever reasons. But that's more the exception. When I get a book in that's fantastic. It usually does reasonably well and sometimes it explodes. So, I like the fact that we agree on this, on this issue of quality. It's so important. Now, you at one time were doing virtual book tours? Elizabeth Marshall: Yes. I'd like to say that was back in 2007. The start of it. When teleseminars were cool and Michael Port had hair. Glenn Yeffeth: I remember, at the time I was thinking, that was so innovative. Elizabeth Marshall: You know, at the time ... So, the way that it started, in May of 2007 and I was collaborating with Michael Port quite a bit at the time, he sent out an email about Seth Godin's book, "The Dip" and that he was going to have him on a teleseminar and I immediately shot him an email and was like, "Michael, we never get to hear Seth." Because again, scroll back 11 years ago at this point, we didn't have the preponderance of video. Podcast had started, but basically flopped. They really hadn't taken off. A lot of corporations were using teleseminars. And then like, the online marketing community. So you didn't have both the access and the willingness of authors to be interviewed on all these channels. So I said, "Michael, I have an amazing idea I think. I want to ... What if I brought together Seth in a panel of experts with me moderating the discussion?" So he introduced me to Seth. A long story short is that we went to Portfolio, his publisher at the time, and they liked the idea and wanted to try it. And so, that series ... That business model was actually developed specifically for Seth, but it exploded actually. And then I offered those tours to a number of different authors over the next three and a half to four years. Glenn, I loved that series because I would have someone like Seth as the featured author whose book was being launched and then I would bring on two to three other guest experts who had served a somewhat similar audience. And the goal was not to have a pitch fest or a book report, but to curate a conversation in and around the themes of the books. So we had a standalone piece of content that was interesting and different, and yet would encourage listeners to buy the book. And what was so interesting about it, is that I would bring on for various tours, different great names from different industries. So somebody like David Allen who wrote "Getting Things Done". I would have people email saying, "Thank you for introducing me to David Allen." I'm like, what? He's the God of productivity. But it was so rewarding to see, as Seth called, the mashing up of tribes to see all these great authors and thought leaders in their own right, expanding their communities as a result of being a part of these curated conversations. So I had such a blast with series and as good entrepreneurs do, you watch the trend and you quit when you're ahead. Glenn Yeffeth: That's right. That's right. You always have to panic don't you? Elizabeth Marshall: Yeah. So right about the time it was winding down, is when Janet Goldstein and I started book breakthrough, which was a live workshop in New York for three years. Now it's an On-Demand course. Yeah, that was the next great wave for me, which was really fun to design and lead in person workshops as well. Glenn Yeffeth: So in a way, you predicted the rise of Podcasting. You were doing Podcasting before there was Podcasting. Elizabeth Marshall: Yes. And I did. I never set myself up on iTunes, but I would record the teleseminars and I would distribute them as a free tool. The business model for the teleseminars is ... Either the author or publisher would pay for the tour and my pitch or my persuasion there was that we want to make this content as free and accessible as possible so that will be shared, certain episodes could be viral. I remember for one of Keith's tours, we had close to three thousand people sign up, and at the time, that was really, really significant. Now, it's really tough to get that level of sign up for one event. But, it's amazing to think back at how much has changed with publishing each and every year since then. Not only in terms of the business model and how authors get to introduce traditional publishers, what options they have on self-publishing, but certainly then in the promotion as well. It's the wild west constantly changing. Glenn Yeffeth: Now is there something that you are finding really is working for 2018? Elizabeth Marshall: So, I would say it really comes back to relationships. Because I'm always testing and trying some of those shiny new objects. You know, some of the new greatest tools and techniques. But at the end of the day, if you have that really firm foundation with building the strategic relationships, that is going to allow you to consistently reach a wider audience and you know, sell beyond your current market, as you were saying. And I know that sounds like, well, what's the newest and latest diet craze? This is kind of the proverbial diet and exercise. But it's important to do and the amazing thing about it is that just through one relationship, you could as a result have ten new opportunities and interview a guest post all by nurturing one relationship. So when you pay attention to what's in front of you and you're also going back to that comparative piece, watching what other authors are doing in your space, you're going to get a feel for, not only outlets that could be right for you, but strategies that could work. Because I think that's another piece that I see. I like to joke about, "What works for Seth, won't work for you." You know, there's strategies that we see in the business space that work very poorly for fiction and vice versa. And so, you have to know your space and obviously you don't want to copy other authors, but you can model and take some great learnings and lessons from what you see that's working with other comparative authors. Glenn Yeffeth: I think what you were saying about the importance of relationships makes a lot of sense because we live in a world now where there's so many people who have platforms that are significant. Like, Gerald Rogan has more people come on his Podcast than while watching CNN. Glenn Yeffeth: This is more than like an Anderson Cooper. That's a new world and having those right relationships ... It's not just three relationships with the networks or ten relationships, there's literally a thousand relationships you could potentially have that could make a big difference for you. Elizabeth Marshall: That's right. And I think ... You know, my colleague Jason Gainer describes it this way. He says, "We're overflowing with context but we're starved for relationships and community." And so, just ... As in, this has been true in different forms in the past, but I think when it comes to social media or the newsletter list, we can get trapped into thinking about the numbers game. Well, how many ... What number subscribers or followers do I have instead of looking at, are these actually my right people? You know, just using the example of the newsletter list. You can have a newsletter list of two thousand people and if they are the right people, that community can be far more responsive than a list of twenty thousand. Elizabeth Marshall: That's like, not so much the right people. Glenn Yeffeth: And one of my authors talks about the pyramid. Where, if you have a thousand people that might buy your book, and there's a hundred people that went by your seminar series and there's ten people that might go to a mastermind course with you ... And so, having those deep relationships with a smaller set of people, actually might be more valuable than having a hundred thousand Twitter followers. Elizabeth Marshall: That's right. Looking for those opportunities to develop relationships with individual readers. So if you a reader emails you to say how much they enjoy the book, take the time to personally respond to them. Not your assistant. You respond to them and say, "Thank you so much. I'd love for you to do an Amazon review, but thank you." Elizabeth Marshall: So, you may not always ask for that in that moment, but when you acknowledge and express gratitude ... I mean, when you think about it, how lucky are we that there's an audience of people that wants to read our work and to absorb our message. They have so many choices and different avenues for content. You know, coming from this place of appreciation and gratitude and making the most of each and every opportunity helps speed up the process as well. Glenn Yeffeth: That makes so much sense. I think about one of my authors, Lindsay Nixon, a cookbook author. She runs the Happy Herbivore site and she obsessively, I would say, responds to every person who comments. She worries about anybody that's upset about anything. She takes care of that group from the very beginning and that level of obsessive care about her platform led to growth and growth and when we brought a cookbook out, it exploded because people loved her. They knew it was a real relationship. Elizabeth Marshall: Yes. And then the community feels like they're a part of the book as well, even though their name is not on the cover. It's that shared ownership. You know, we're in this shared economy ... You know, no matter what stage you're in, whether you're currently working on your book, whether you're about to launch or in between book one, two or three that when we are fostering our community and allowing them to become a part of the process, they not only buy in but they feel, in a good way, a sense of responsibility and a desire to want to spread the word and to do things to support you, even when you don't ask. Glenn Yeffeth: Yeah. That makes sense. So what exciting things have you got coming up in the future? Glenn Yeffeth: I've seen that book around a lot. Elizabeth Marshall: Yes. We're proud that that was a Wall Street Journal, number 2 best seller on the business list. And you know, Joey's a great example of what we've been talking about, that he embodies the message and he cares so much. His premise and big ideas that the bar for customer service is on the floor and that after a customer buys our product, we say thank you, we might do a few other things after that, but do we really nurture a relationship so that we create that surprise and delight. So that was a really fun book to work on and see all the great support he has had by modeling what he teaches. And then another book by Debbie Weaver, called "Differently Wired." Glenn Yeffeth: Oh, that sounds interesting. Elizabeth Marshall: Raising exceptional children in a conventional world. Watch out for Debbie, she will be on the Ted Ex stage sooner than later. It was fascinating to have these two launches so close together and just to see how community has formed in two different industries and communities with two authors who are equally loved, but again, different business models and different ways of doing things. But it'll be exciting to see. Her book just launched a couple of weeks ago, but she's already been on today.com’s parenting page and doing a Facebook live, so she's getting good traction. Glenn Yeffeth: That's fantastic. So you must be exhausted. Elizabeth Marshall: Yeah. It's been an exciting start. So to be honest, the next couple of weeks, I'm just catching my breath a little bit. But we'll be potentially speaking some in the fall and then I have the next wave of some launches coming up in early spring. Glenn Yeffeth: And if folks want to learn more about you, follow you, what's the best way to do that? Elizabeth Marshall: Great. So my website is elizabethmarshall.me and that's E-L-I-Z-A-B-E-T-H Marshall with two L's dot me. And I also have a Facebook page. I recently did a series after the launches. A five part Facebook Live series called Book Launch Truth's talking about some of the emotional challenges. The expectations, the assumptions. Glenn Yeffeth: Oh, wow. I love that. Elizabeth Marshall: What do we do with the rejection and all of that. So you can find that on my Facebook page. Glenn Yeffeth: Alright, that's great. Elizabeth, thank you so much for making the time here. Glenn Yeffeth: It's been really fun talking to you. Elizabeth Marshall: I really enjoyed it as well. Glenn Yeffeth: Have a great day. Glenn Yeffeth: Thank you for listening to the Building Books Podcast. If you enjoyed it, please leave a review on iTunes and we'll be happy to listen to it, or share it on social media. If you're an author who wants to submit a proposal or pitch to Ben Bella Books, please go to benbellabooks.com. Click on the For Perspective Authors button and it'll lead you through a form that makes it real easy to submit to us. Thank you.